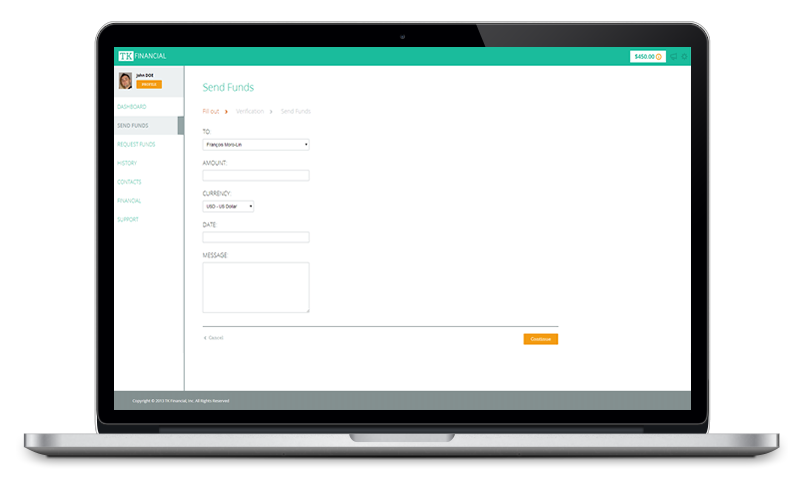 The new universal standard for transferring cash and electronic money to anyone, anywhere. The new virtual money protocol able to power a multitude of services. 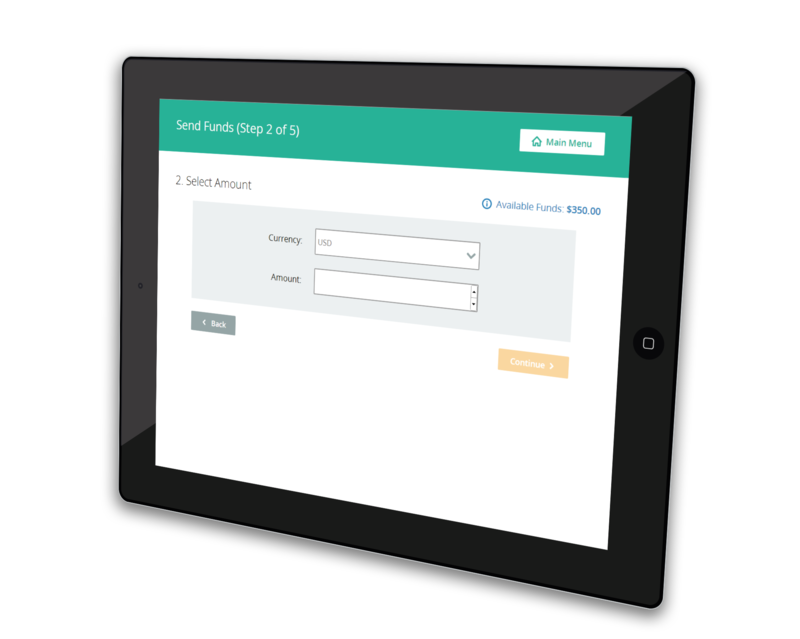 A solution that allows retailers to accept cash for online purchases. A unique way to allow customers to pay their bills, track their energy usage, and more. A gateway for citizens, students, and travelers to interact with public utilities, schools, and government services. A completely adaptable and customizable set of tools, built to answer the needs of the many diverse markets around the world. With 35+ years of experience in the electronic transactions industry, TK Financial is a white label platform centered on the transfer of funds. By staying flexible and focusing on easy integration, TK Financial's technology and services can be merged with a wide range of businesses. Accessed solely via license, TK Financial is able to meet the specific needs of more clients, while streamlining its technological advancements according to the demand of various markets worldwide. 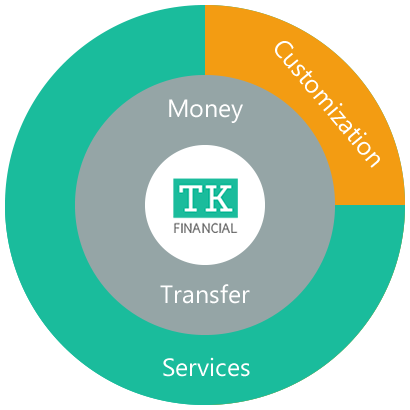 TK Financial’s services are available via several types of licenses. These are all nonexclusive and tailored to the needs of the markets in which they are deployed. Licensees pay TK Financial a license fee to modify software based on the needs of the Licensee and reserve access to the system. There is also a fee-for-service in the form of a royalty paid to TK Financial based on the effective deployment of the services. 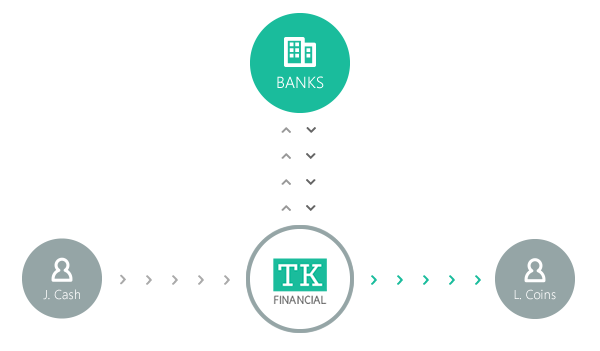 The TK Financial system is customizable to meet the demands of all users, large or small, industrial or commercial, in all fields from real estate to retail, without sacrificing security. TK Financial has the ability to immediately ramp up production of hardware and software to meet large demands no matter the size, while still protecting the integrity of the system and the security of the client. TK Financial's unique, highly secure money transfer platform lets absolutely any consumer, even those that are unbanked, exchange funds using a virtual money environment. TK Financial’s virtual currency exchange process can assign a real monetary value to a particular transaction, and then convert it to a different currency. This process is widely accepted by financial institutions, centered around the consumer, and highly secure for all parties involved. TK Financial provides banks with a simple complimentary service based on virtual money. It can then become the transit point between the cash sender, the bank, and the cash receiver. With this advantage, banks are able to access clients, previously unattainable, with a customized offering. TK Financial brings a new offer to the table by positioning itself between online shopping experiences and the brick-and-mortar of a conventional bank. This solution gives consumers access to TK Financial’s partners through multiple media channels, while at the same time allowing them to place orders online and make cash payments. This E-Retail platform allows partners to improve their inventory management by tracking product input and output through the purchasing behavior of consumers, as well as RFID tags used to track both inventory items and trends. TK Financial is meeting the government and public services' demand of “going green” by facilitating dematerialization and serves for the common practices for the public. Multi-service access points for citizens, students, travelers, and much more. Secure, online access for administrative groups. A wide array of customizable services aimed at facilitating daily interaction with public services. TK Financial grants access to bill payment, smart meter electricity usage, and many other similar services, directly from smartphones, tablets, and the web. With this function comes support aimed at the Smart Grid system, which uses tools to aid in peak energy demand for the benefit of power managers and network providers. With TK Financial’s electronic transaction technology, its ability to customize and adapt to market demand is key to providing the best products and services possible. Through key partnerships across various channels, TK Financial can quickly answer the needs of the client while focusing on production and product management. TK Financial has the ability to filter, manage, and enrich large data streams, through various key partnerships. 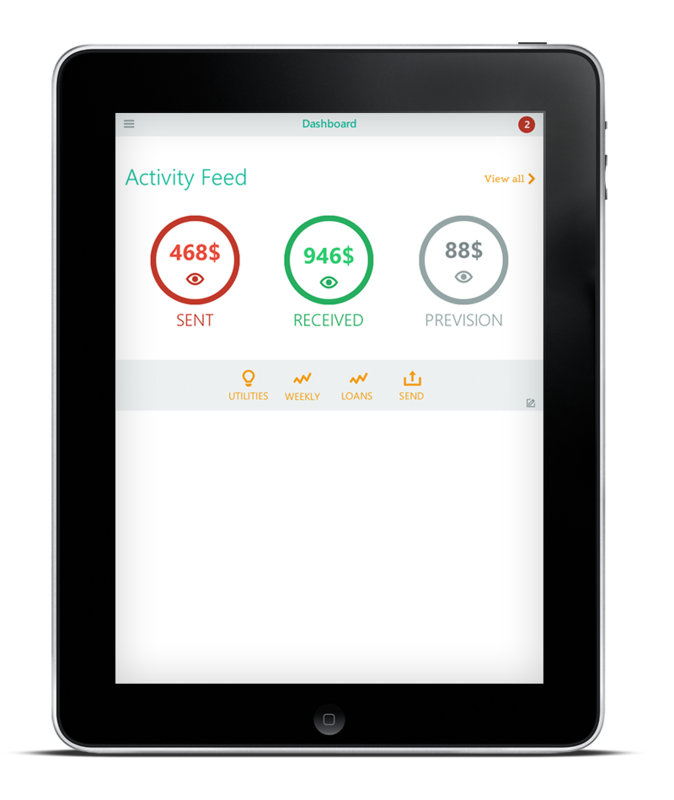 Online reporting for administrative groups is done securely, through a multitude of interfaces, from web to mobile. TK Financial has the ability to enable biometric protocols to provide secure access to all types of services. This technology has been developed specifically without the need to be close to an IT, dedicated environment, or device for identification purposes. Passwords are a thing of the past, now with an easy end-user experience that is highly encrypted and government certified. TK Financial can manage various accounts for adding users, creating multiple logins and access points, as well as assigning specific privileges at the administrative level. A unique ID is generated for each transaction, while never storing sensitive data, with the use of a series of strong, encrypted RSA and AES algorithms. The "Corner" is an interface dedicated to urban environments, with the capacity to provide any TK Financial service to multiple industries such as catering or retail. The "Corner" is meant to fit within a small space and is fully integrated for payment, storage management, and customer loyalty programs. The Kiosk v1.0 is a highly customizable, carbon-fiber based point of interaction. The Kiosk is able to optimize sales through easy access to money transfer, basic information, promotions, advertising campaigns, and much more. The Kiosk v1.0 is a copyright of Verso International, Inc. 2014. The mobile tablet is one of the best solutions for portability and performance with handwriting recognition and the ability to connect to the Internet from anywhere. TK Financial adapts its technology to the need of the client and market at hand, and is able to respond with native apps or mobile web when required. Android and iOS applications coming soon. 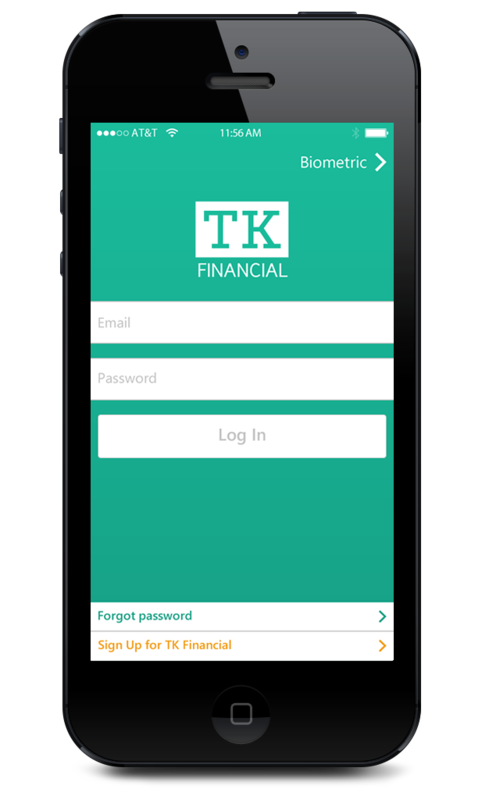 All of TK Financial’s software is designed to run on any smartphone, from iOS to Android, Windows Mobile, or Java. By staying flexible with its development process, TK Financial can answer the needs of the users directly, on a project-per-project basis, using the absolute best solutions possible. TK Financial’s web platforms have been developed to be efficient, user friendly, highly secure, and entirely customizable to a particular service. A simple layout, void of clutter and needless distraction, allows for rapid transactions and facilitates a versatile environment.